For the first time in Voice of America’s 75-year history, the organization’s director visited the western Balkans. 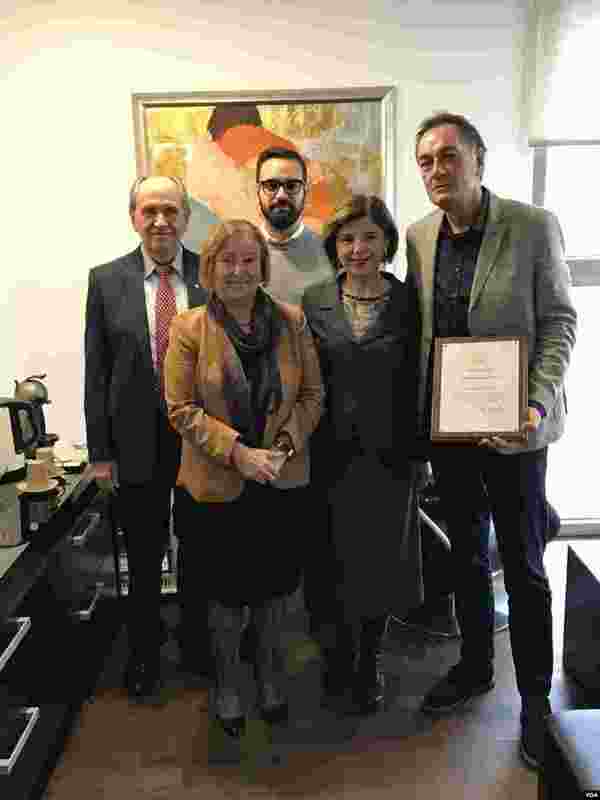 VOA Director Amanda Bennett visited Serbia, Bosnia, Montenegro, Albania, and Kosovo, during which she met with top regional leaders, stopped by many of VOA’s affiliate stations, and spoke to journalists and groups of prominent women from the region. Take a look at the images below from her trip. 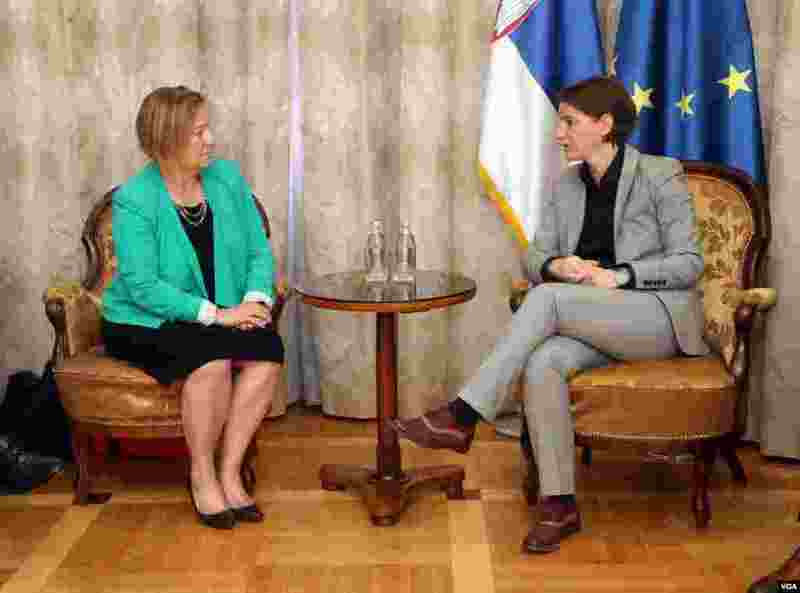 1 VOA Director Amanda Bennett meets with Serbian Prime Minister Ana Brnabić in Belgrade, Serbia, September 20, 2017. 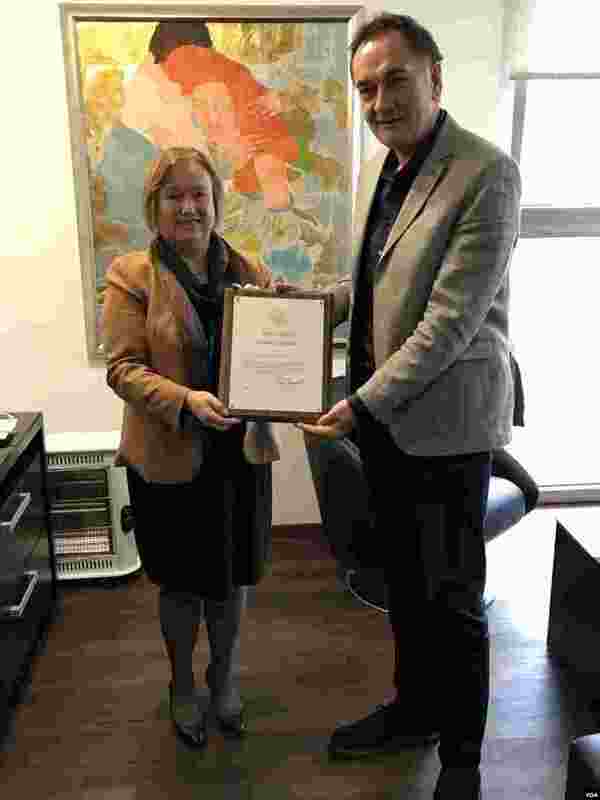 3 VOA Director Amanda Bennett presents Senad Hadzifejzovic, owner of VOA's Bosnian affiliate FACE TV, with a certificate of appreciation, Sept 22, 2017. 4 VOA Director Amanda Bennett, VOA Eurasia Division Director Elez Biberaj, VOA Bosnian Service Chief Dzeilana Pecanin, with VOA's Bosnian affiliate FACE TV, Sept 22, 2017.